Dodge's powerful, four-door muscle car returns to deliver more driving thrills in the form of the 2019 Dodge Charger. From its standard Pentastar V6 to available HEMI V8 engines, the new Dodge Charger is performance machine that seats up to five in style and comfort. The Charger continues its legacy of powerful performance while adding advanced, modern conveniences like Keyless Enter ’n Go™, Adaptive Cruise Control with Stop, multiple drive modes and Dodge's famed Uconnect® 4C NAV infotainment system complete with an 8.4-inch touchscreen display. 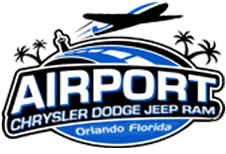 To tour a brand-new Charger in person near Kissimmee and Winter Park, FL, visit or contact Airport CDJR in Orlando, FL today. Our knowledgeable and friendly team of sales associates will happily introduce you to the 2019 Dodge Charger and hand over the keys for a road test. Dodge's latest version of its muscular sports sedan continues the tradition of exciting Chargers that have come before it. The Charger's standard 3.6L V6 engine develops up to 300 hp and comes coupled with an 8-speed automatic transmission for smooth revs and constant performance. There's plenty more performance on tap throughout the 2019 Charger lineup, thanks to the available 370-hp 5.7L HEMI® V8, 485-hp 392 HEMI® V8 and wicked, 707-hp Supercharged 6.2L HEMI® SRT Hellcat V8 engine. If performance and style is what you're after in a new sedan, then you've found your next ride in the 2019 Charger! The cockpit of the 2019 Dodge Charger is a driver's haven, thanks to an array of driver-centric features that put you at the forefront of this powerful sedan's on-road performance. There's the class-exclusive 7-inch display that provides instant driving information as well as performance details, and the performance-inspired shifter and available paddle shifters deliver crisp shifts of the TorqueFlite® eight-speed automatic transmission. Consider a 2019 Charger fitted with the available Nappa leather trim seats with Alcantara® Suede Bolsters that surround you in comfort and keep you secure during spirited driving. With seating for five plus available heated and ventilated front seats and dual-zone automatic temperature control, this is a performance sedan that your family and friends can also enjoy! 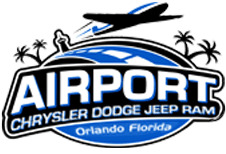 If you live in the Orlando or Kissimmee, FL area and are searching for a powerful new sedan that can get you to work on time and across the line in style, you have got to test drive the 2019 Dodge Charger at Airport CDJR. After you drive home in one of these performance vehicles at a competitive price, remember that Airport CDJR also has a service department on location for any future maintenance your Dodge may require. Visit us today for a great price on your new Dodge Charger!